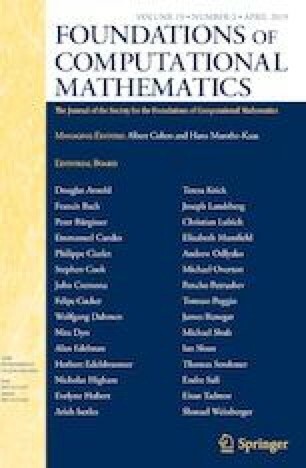 The main goal of this paper is to define and study new methods for the computation of effective coefficients in the homogenization of divergence-form operators with random coefficients. The methods introduced here are proved to have optimal computational complexity and are shown numerically to display small constant prefactors. In the spirit of multiscale methods, the main idea is to rely on a progressive coarsening of the problem, which we implement via a generalization of the Green–Kubo formula. The technique can be applied more generally to compute the effective diffusivity of any additive functional of a Markov process. In this broader context, we also discuss the alternative possibility of using Monte Carlo sampling and show how a simple one-step extrapolation can considerably improve the performance of this alternative method. I would like to thank Josselin Garnier for an inspiring talk which motivated me to revisit this problem, Tony Lelièvre for his helpful feedback and Harmen Stoppels for his precious help with the Julia language. This work has been partially supported by the ANR Grant LSD (ANR-15-CE40-0020-03). S. Armstrong, A. Hannukainen, T. Kuusi, and J. C. Mourrat. An iterative method for elliptic problems with rapidly oscillating coefficients, preprint, arXiv:1803.03551. S. Armstrong, T. Kuusi, and J.-C. Mourrat. Quantitative stochastic homogenization and large-scale regularity. Preliminary version available at www.math.ens.fr/~mourrat/lecturenotes.pdf (2018). G. Ben Arous, M. Cabezas, and A. Fribergh. Scaling limit for the ant in high-dimensional labyrinths, preprint, arXiv:1609.03977. G. Ben Arous, M. Cabezas, and A. Fribergh. Scaling limit for the ant in a simple labyrinth, preprint, arXiv:1609.03980. A. Gloria, S. Neukamm, and F. Otto. A regularity theory for random elliptic operators, preprint, arXiv:1409.2678. A. Gloria and F. Otto. The corrector in stochastic homogenization: optimal rates, stochastic integrability, and fluctuations, preprint, arXiv:1510.08290.